Zayn reveals what made him fall for Gigi Hadid | HELLO! 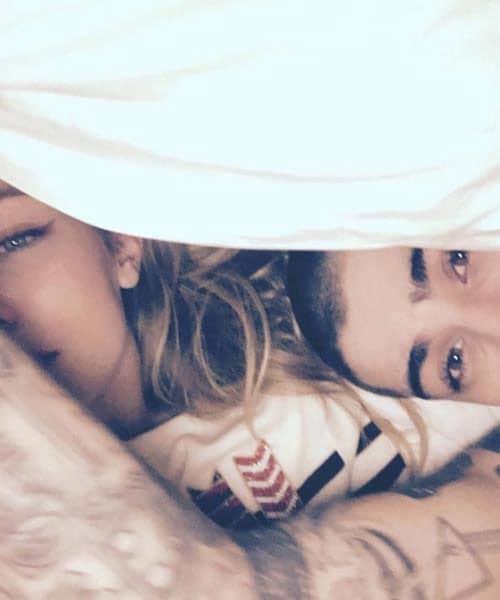 Zayn has given a rare insight into his relationship with Gigi Hadid, and it sounds like despite their high flying careers, they're just like any young couple. The PillowTalk singer has admitted that when they're not stepping out at high profile events like the Met Gala, they like nothing more than relaxing with a movie. "I don't really enjoy going out too much and partying," he told Paper magazine. "I like to have my own time and be at home, and I kind of need a partner with me to do that. "I just like the security of that. It feels good to me. It feels right. We'll see each other tonight and probably watch a film. Netflix and chill. Yeah, we do that a lot." While he may be dating one of the most sought after models in the world, Zayn has revealed it's not just Gigi's appearance that he fell in love with. "I've always said it and I still stand by it: I find intelligence attractive," Zayn admitted. "When I learn something from somebody and they teach me something, that's an attractive thing for me. "Obviously, I find physical appearance attractive as well, but it's definitely squared more towards a personality as I've gotten older, because you can't have a long-term relationship unless you get on with the person." And Gigi has taught Zayn a surprising new skill. "My girlfriend rides a little bit. Actually, that's an understatement," he said. "She rides very well, and she has since she was a kid. She wants me to do it with her, and I'm not good. But I'm learning, and it's fun. "My first lesson was on a really old horse that didn't move very much, so it wasn't that scary. She was on the other horse, the one that moved a lot more. She was jumping over hurdles and I just sat there like, 'Ok, this is freaky.'" Zayn and Gigi have been dating for over seven months, and while they were rumoured to have parted ways at the beginning of June, they are now very much back on. Gigi supported Zayn when he pulled out of his performance at the Capital Summertime Ball due to anxiety, saying she was "proud" of him for speaking out in a lengthy Twitter post. Have Gigi Hadid and Zayn Malik split? What's going on with Gigi Hadid and Zayn Malik?